ceremony are the quality of the cacao and the intention that you come to the ceremony with. You don’t want to skimp on either of these. Humans have considered cacao a sacred plant for thousands of years. Now you can join the modern rediscovery of this plant and experience the benefits for yourself. When consumed in sufficient quantity and in the right setting, cacao is a powerful catalyst for all types of inner work. 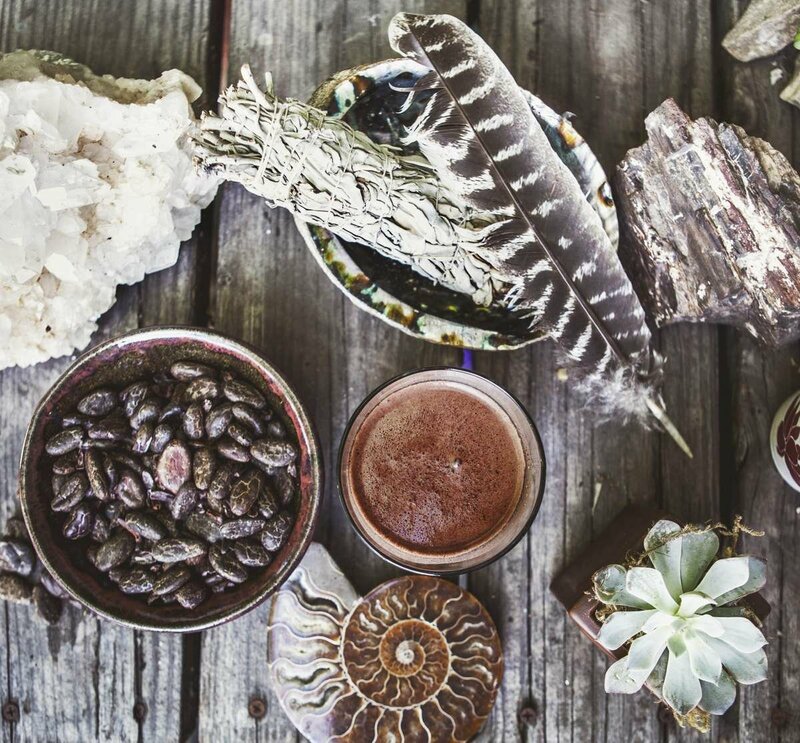 In a cacao ceremony, we work with this plant medicine to support our healing & growth. When approached this way, cacao will offer opportunities to cultivate greater self-love, awareness and expansion of our consciousness. 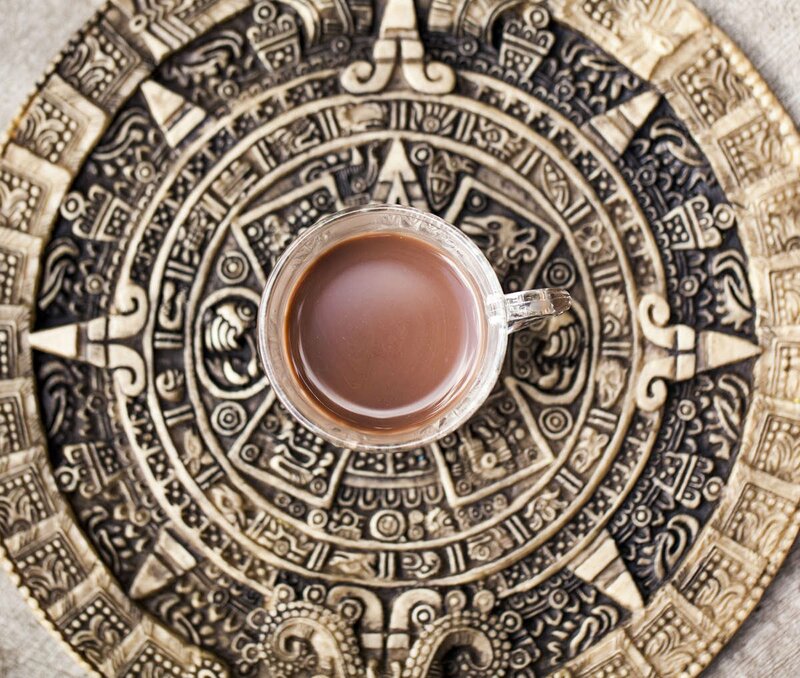 Cacao pairs beautifully with many other practices, including meditation, yoga, dance, community circle's and shamanic journeying, among others. Unlike chocolate, ceremonial grade cacao does not contain sugar, milk, preservatives, or anything else that might interfere with or negate the benefits of pure cacao. Likewise, cocoa powder is over-processed and has key ingredients removed. From variety selection, to fermentation & roasting, our ceremonial cacao is produced to optimize its quality & potency. Our professional production system ensures consistent quality you can trust. yourself or for others, you’ll want to be sure to do it right. If you’ve ever done cacao ceremony with weak or no noticeable benefits, be sure to follow these simple guidelines for a successful cacao ceremony. 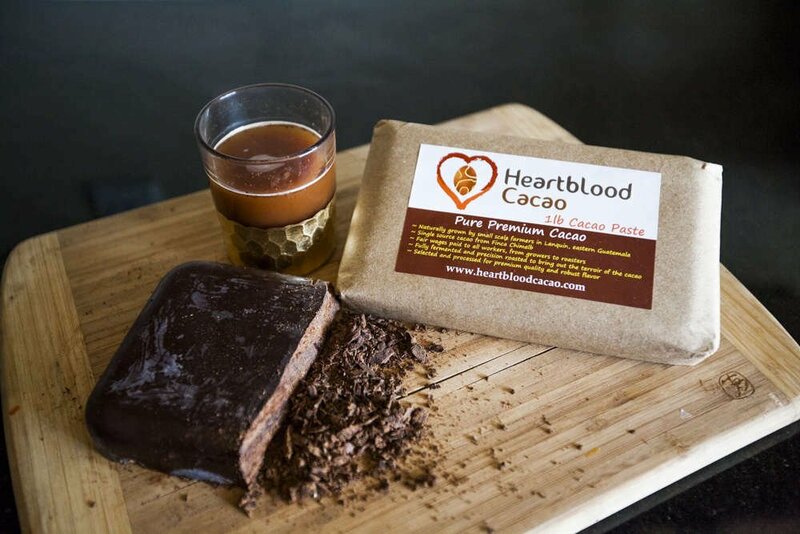 Make sure you are using high quality ceremonial cacao such as our Heartblood Ceremonial Grade Cacao. High quality ceremonial cacao is a totally different thing from processed chocolate. In fact, most chocolate has been processed in ways that make it far less potent. You must be sure to use ceremonial grade cacao. Be certain to use enough cacao per serving in order to be feel the effects. We recommend between one and two ounces of pure cacao per person. Too little and the benefits will be too weak to notice. Too much, on the other hand, can be unpleasant. For most people between one and two ounces is appropriate. Consume the cacao in a setting that is supportive for your goal. 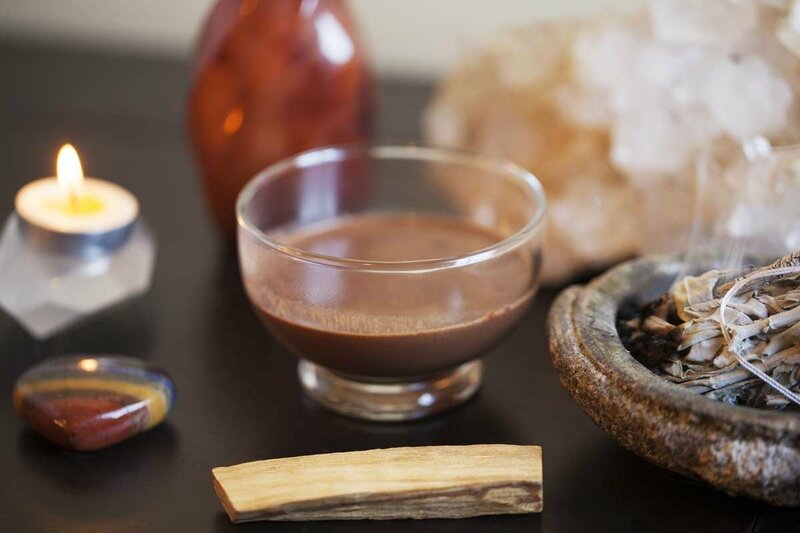 For example, if you want to use cacao ceremony to facilitate meditation, set that intention beforehand and make sure everyone who is participating is aware of the intention. 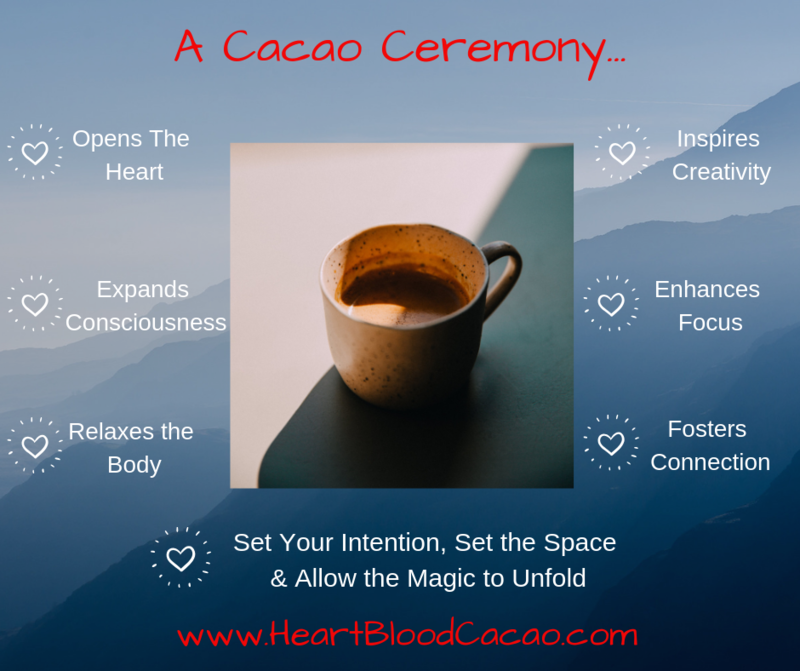 Or if you are performing cacao ceremony in order to facilitate heart-centered sharing and connection, make sure everyone knows the intention and create the environment to support that with lighting, music, and so forth. Other than the tips above, there are not a lot of fixed rules. A modern cacao ceremony doesn't have a set format, ritual or belief. Cacao is an extremely versatile medicine that will support where you need to go. It flows from the magic of the cacao itself, paired with your intention. Just get some ceremonial grade cacao, brew the drink (you can find our recipe on our ceremonial drink page), set the intention, and let the beauty unfold. Feel free to experiment with dance, meditation, prayer, chanting, talking circles, massage, art, yoga, or anything else. Cacao will facilitate the best experience possible. Beyond that, please read on to avoid some of the common mistakes that people make when holding cacao ceremony. prevent them from enjoying the full benefits of cacao ceremony. Fortunately, you can easily avoid those mistakes. Read on to learn how. The biggest mistake people make is using the wrong cacao. In order to get the full benefits of cacao, you must be sure that you are using minimally-processed, whole cacao. Do not use milk chocolate, Dutch process cocoa, defatted cacao powder, or most other forms of cacao or chocolate. They simply will not work. The second biggest mistake people make is drinking too little or too much cacao at once. Too little cacao and you won’t experience the benefits. Too much cacao can leave you feeling slightly unwell. We recommend that you consume between one and two ounces per ceremony per person. If you are new to cacao or if you are experimenting with increasing the amount you consume, start by drinking about half to two thirds of the total serving. Wait half an hour, and if you desire more, finish the serving at that time. enough water during and after the ceremony. Cacao can stimulate detoxification. That’s a good thing. But you need to make sure you drink enough water. Signs of dehydration can include headache and nausea. You can easily avoid these problems by staying hydrated. Enjoy and experience the benefits of cacao ceremony! 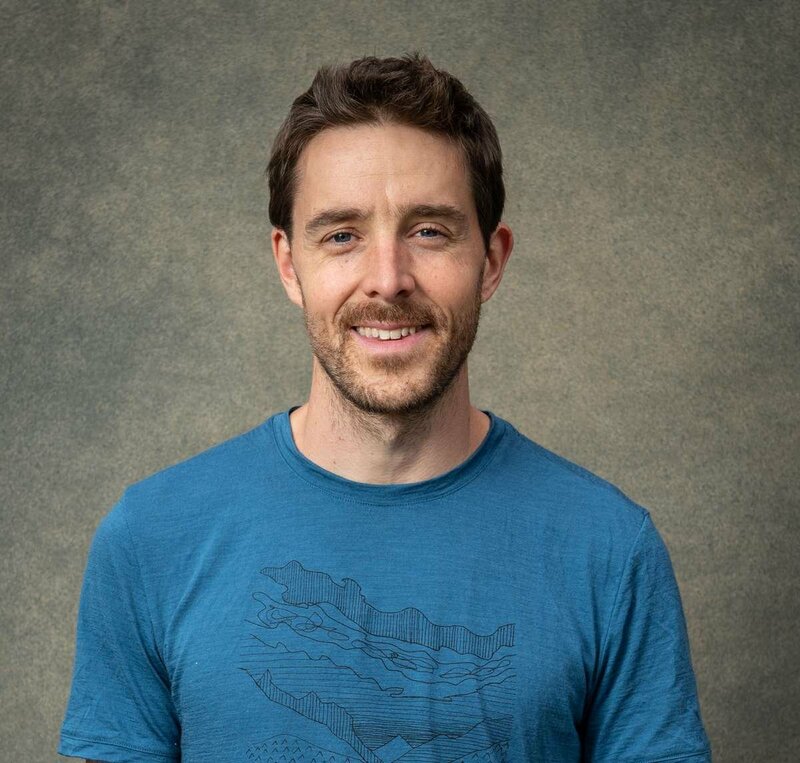 Once you’ve experienced cacao ceremony for yourself, if you’re wanting to learn more about this amazing practice and what it can do for you and others, learn more about our signature cacao ceremony training, Into the Heart! I've been working with cacao for over a decade and am passionate about sharing the love & beauty that is possible with this medicine.